At 844 10th Ave North the renters must have moved out and left a VERY LARGE amount of furniture, beds. matress, tables, shelves, etc (ref. pic). Thank you for letting us know about this issue. A Special Collection has been scheduled and should occur within 2 business days. Scheduled for pickup in 4/23/19, sorry for inconvenience. 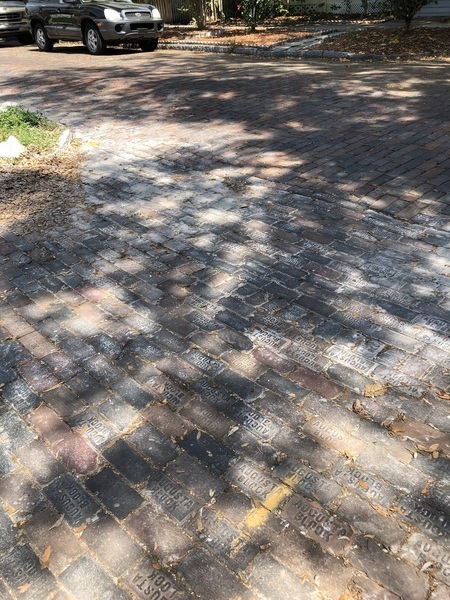 Neighbors report that the lawn irrigation system at this address is configured in such a way that the overflowing water drains into the dirt alley and results in washouts/holes/depressions immediately after resurfacing efforts are completed by Pavement Maintenance. Request is to advise property owner at this address to adjust their irrigation as needed to keep their water from flooding the alley. See photo. Parking spaces need to be re striped. Please send out an inspector to inspect the conditions of the parking lot. Parking lot in bad shape. Dumpster is always full and overflowing. Alley cats starting to come around all the time. White paint has been dumped on the bricks in the alley. Caller would like this to be cleaned up. 30' DEPRESSION IN BRICK ROAD CAUSING LONG TIME STANDING WATER. STORMWATER AND WATER DO NOT HAVE ANY PIPE ISSUES AT LOCATION. CITIZEN CALLED AND STATED THAT WE PUT MILLINGS DOWN IN THE ALLEY ABOUT A MONTH OR SO AGO. THERE SEEMS TO BE TOO MUCH MATERIAL IN THE ALLEY AND IT HAS BEEN SUGGESTED THAT THIS ALLEY BE RECONSTRUCTED. PLEASE INSPECT AND GET INTO CONTACT WITH CITIZEN. A few bricks that were being pushed up by tree roots have recently come loose and have now disappeared leaving a sizable pothole. Huge holes in the alley, definitely needs to be smoothed out.